Amit is partner and head for Data & Analytics for KPMG India, he is also leader for Global Data & Analytics COE for KPMG global. Amit has started building KPMG Data & Analytics capability in Jan 2014 and today KPMG is one of the leading professional services firm in this space with largest number of dedicated India focused consultants. Amit is also driving the innovation agenda for KPMG Global and currently working on developing 3-4 analytics products for next generation. Amit is also associated with analytics education in India and have been active faculty/advisor to ISB, IIT & other B- schools in this space. Prior to joining KPMG, Amit was a Partner and Managing Director with Accenture Management Consulting. He started the Accenture Analytics consulting practice in India in 2008 and grew the team size to 500+ resources in a span of 5 years. His size of business has grown to US 60MM during this period. 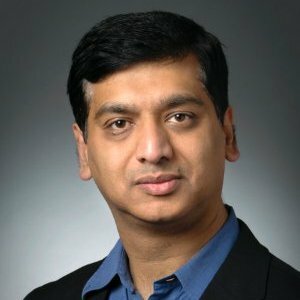 He was one of the founder member in building advance analytics capability for Accenture Management Consulting and was part of Accenture advance analytics global leadership team. He personally own 2 analytics patents & His team filed for 20+ patents (9 patents granted). Before Accenture Amit worked in GECIS/Genpact. He also worked in JTI, where he was involved in setting up their Indian entity. He was Regional sales head for South Asia region and helped launch the company in India. Amit earlier started his career in Perfetti Van Melle where he worked for 8 years.. that was a start-up environment wherein Amit was part of the team which has taken company from startup to biggest confectionery company in India.. He worked in Marketing, Sales operations & logistics area within Perfetti and was brand/product manager of Big babol, Center fresh, Happydent, Fruitella etc.. He has handeled few of the most successful launch in confectioneries category and managed few of the most powerful campaigns. He is B Tech and MBA from MDI gurgaon and has done Advance Management Program from ISB-Kellog’s school. He has also attended leadership program from INSEAD France.